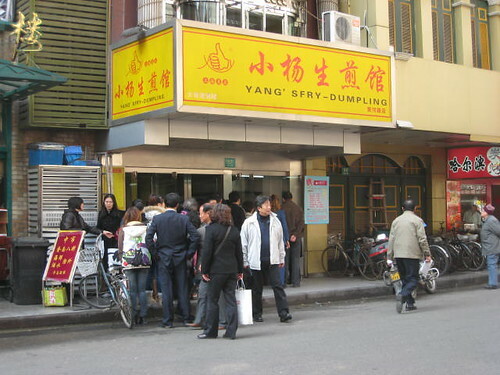 After lunch at Jia Jia Tong Bao, I couldn’t resist trying Yang’s Fry-Dumpling. 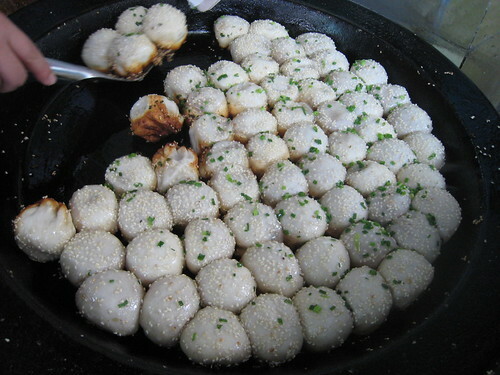 I had traveled across the Pacific Ocean and Yang’s Fry-Dumpling was right in front of me, serving fresh Sheng Jian Bao right out of the biggest round frying pan I have ever seen. 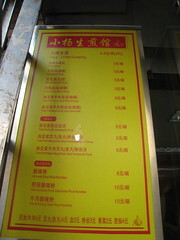 Sheng Jian Bao are soup dumplings, but not steamed like it’s Jia Jia neighbor’s. 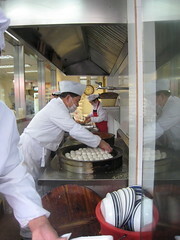 I ordered one tray of Sheng Jian Bao for 4.5 Yuan then waited in line for 15 minutes while I watched the chefs prepare my dumplings. Well, I’m still alive. Some times you need to make exceptions, like eating a 2nd lunch right after you finish a tray of steamed dumplings or savoring every bite even if it means licking your hands. Great post! Still cant believe Yang's Fried Dumpling has some much juices within! Had to clean my face after the first bite, EVEN AFTER being warned!